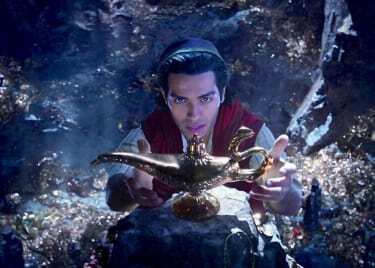 As much as audiences love to see originality and risky projects from influential storytellers at the multiplex, they also turn out in droves for sequels. Always have, probably always will. 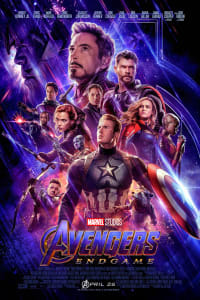 When moviegoers find a franchise they enjoy, they’re happy to return every few years to see what’s going on with beloved, intriguing characters and to discover how the story has evolved. There are more than enough movie sequels coming to theatres in 2019. Put these on your radar and start planning trips to your nearest AMC when they finally open! 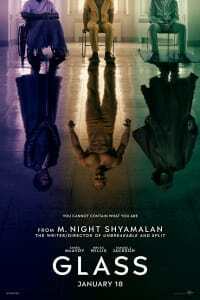 Night Shyamalan kicks off this new year with GLASS, a movie that’s actually a sequel to two previous Shyamalan thrillers. Right off the bat, GLASS is a sequel to SPLIT, which introduced Kevin (James McAvoy) and his multiple personalities. 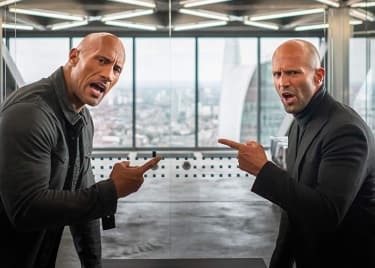 But at the very end of SPLIT, Shyamalan revealed — in a trademark twist of a scene — that SPLIT takes place in the same universe as his 2000 hit, UNBREAKABLE. And so, GLASS will show how super-powered David Dunn (Bruce Willis) will contend with Kevin, as well as his long-time nemesis, Mr. Glass (Samuel L. Jackson). Get tickets to GLASS right now. The first LEGO MOVIE taught audiences that “Everything Is Awesome.” But things look darker and more dangerous when THE LEGO MOVIE 2: THE SECOND PART kicks off. (OK, not that dangerous — this is still an animated family film!) 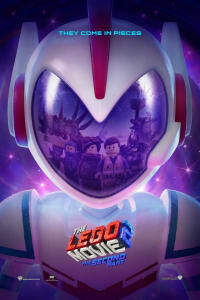 Wyldstyle (Elizabeth Banks) has been kidnapped by an evil new villain, and it’s up to Emmet (Chris Pratt) and a new partner named Rex Dangervest (also Chris Pratt) to save the day! Listen for the returning voices of Will Arnett, Alison Brie, Jonah Hill, Channing Tatum and more when THE SECOND PART opens on February 8. The horror genre loves sequels. It’s hard to keep a good serial killer down! So, when HAPPY DEATH DAY made bank at the box office, poor Jessica Rothe had to know she was going to have to face down her baby-faced stalker once again. The original HAPPY DEATH DAY played on the GROUNDHOG DAY routine, with Rothe reliving the same day over and over. That’s recycled a bit in HAPPY DEATH DAY 2U, but in clever new ways. She how she breaks this cycle on February 14. Disney/Pixar and Illumination get a lot of credit for producing award-winning animated family entertainment, but the HOW TO TRAIN YOUR DRAGON franchise from DreamWorks has been equally rewarding for inventing a vast new world populated by magical creatures powered by imagination and heart. THE HIDDEN WORLD is the third and final chapter in the animated trilogy, and it’s expected to follow Hiccup (Jay Baruchel) as he learns how to lead the kingdom of Berk. 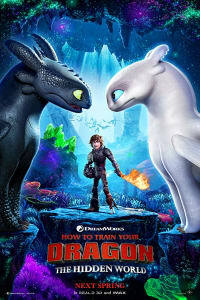 What missions will he and his faithful dragon, Toothless, embark on in this anticipated sequel? Find out when the movie hits theatres on February 22. When we last saw our favorite Marvel heroes in AVENGERS: INFINITY WAR, half of them were turning to dust, victims of Thanos (Josh Brolin) and his mighty snap. 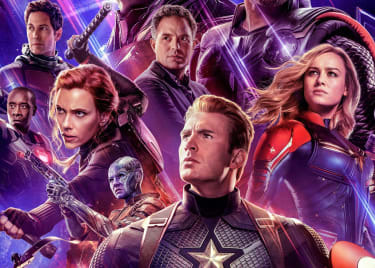 The surviving members — led by Captain America (Chris Evans), Black Widow (Scarlett Johansson), Thor (Chris Hemsworth) and Iron Man (Robert Downey Jr.) — will mount a counterattack in April’s AVENGERS: ENDGAME, and it’s expected to be the biggest superhero blockbuster of all time. No pressure. All John Wick (Keanu Reeves) wanted was to be left alone. But when some criminals stole his car — then killed his dog — this lethal assassin was pulled back into the sordid global community of hitmen, and the body count has been climbing ever since. 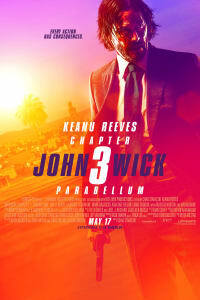 We don’t know a ton about JOHN WICK: CHAPTER 3, except that thanks to the finale of JOHN WICK: CHAPTER 2, pretty much every killer on the face of the earth is now hunting Reeves’ character. Oh, and in one sequence, Wick rides a horse through New York City. Sold! Warner Bros. is building up to an epic confrontation between its two biggest creatures: Godzilla and King Kong. 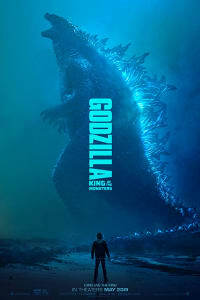 But before we get to that heavyweight bout, Godzilla will star in a sequel to the 2014 movie of the same name, though far more classic Godzilla antagonists will be stopping by to get in his way. That means updated looks at Mothra, Rodan and King Ghidorah. GODZILLA: KING OF THE MONSTERS roars into theatres on May 31.